Pass Christian City Hall decorated for Memorial Day 2011! Visiting Pass Christian is alwahow ys a joy! The scenic overlook of the Gulf is spectacular and the people are always friendly. 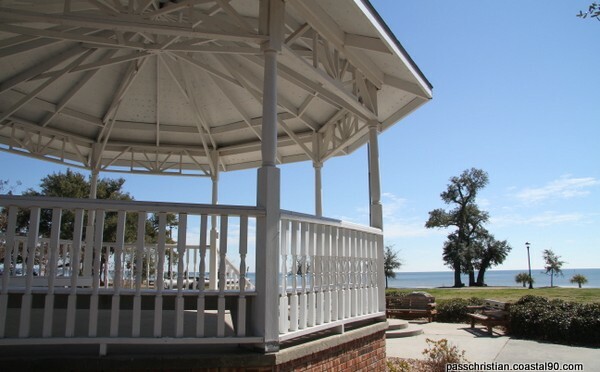 The park located on Highway 90 is one of the best on the Coast. Pass Christian is one of thos places that a weekend could become a way of life. Classy yet Coastal, it defines Southern Beach Hospitatility.